Caracas, April 17, 2017 (venezuelanalysis.com) - Venezuelan President Nicolas Maduro released video footage Sunday of opposition activists confessing to having been paid to carry out violent attacks during anti-government protests over the past two weeks. In one video broadcast during the president's televised evening address, a young opposition protester named Guido Rodriguez admits being paid 300,000 bolivars (US $70) - more than double the monthly minimum wage - to commit acts of anti-government violence during April 8's demonstrations. "They proposed that I go to today's march and burn and vandalize, and that they were going to pay me 300,000 bolivars. And I accepted," stated Rodriguez, who says he has been working with the youth section of the right-wing Justice First (PJ) party "for a while". Convened by the Democratic Unity Roundtable (MUD) opposition coalition, the April 8 march saw widespread instances of violence in the wealthy eastern Caracas municipality of Chacao, including an attack on a Supreme Court administrative office by scores of protesters wielding Molotov bombs and blunt objects taken form a nearby construction site. Rodriguez, who was arrested for his alleged participation in the Supreme Court attack, indicated that he was paid by the First Justice Youth leaders, Jose and Alejandro Sanchez, during a 3pm meeting at the PJ headquarters in Chacaito the day prior. In another video confession, one of the Sanchez brothers explains that attacks were planned three weeks ago by PJ Caracas Youth Secretary Carmelo Zambrano in conjunction with PJ National Assembly deputies in Caracas. "We participated in the burning of the DEM [Executive Office of the Judiciary] together with Carmelo Zambrano who is the planner and executor of this play. They gave him the money, I don't know, he has contacts among the Caracas [PJ] deputies, Marialbert Barrios, Tomás Guanipa, José Guerra," the right-wing youth leader told the camera. Sanchez continued, "Three weeks ago in the basement of the [PJ] headquarters in Chacaito they met and planned this. The instructions were to set Caracas alight and he was going to distribute the money they gave him among the parishes of Caracas." 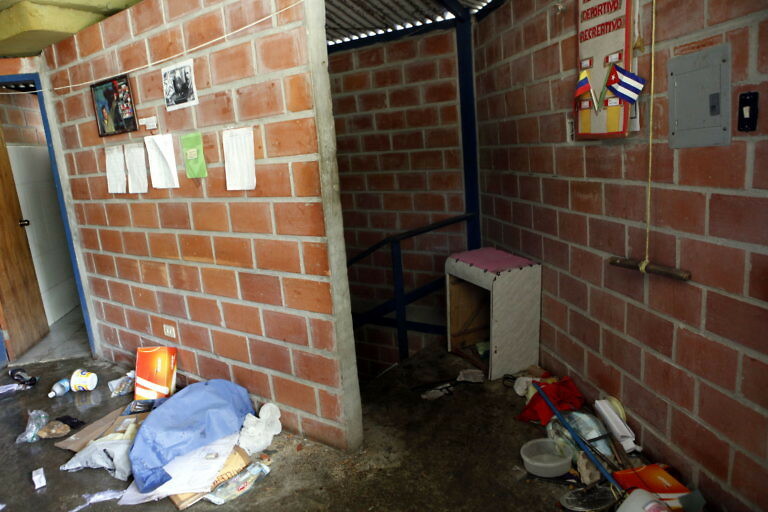 According to Sanchez, the orders came directly from PJ General Secretary and lawmaker Tomás Guanipa, with Zambrano "divvying up the money among the bases to buy water and do protest activities". During the broadcast, President Maduro asserted that the videos "demonstrate to the Venezuelan people how [the right-wing] conspires against the country". He moreover indicated that the footage had been released with the authorization of the Public Prosecutor's office and that his government is in possession of "30 or 40 more videos like these". For his part, PJ General Secretary Tomas Guanipa responded to the allegations Monday, denying that the government had authorization to release the videos and claiming that the testimony was obtained under "torture". In particular, the parliamentarian claimed that the Sanchez brothers had not been allowed to meet with their father or lawyer, and accused authorities of "kidnapping" the youths. The accusations stand at odds with the official statement released by National Ombudsman Tarek William Saab, who confirmed Saturday that the detained PJ leaders had met with their father and lawyer and were due in court this Monday. Saab also announced that he had solicited a forensic medical exam of both men to verify that no human rights abuses had occurred during their detention. The revelations come on the heels of nearly two weeks of opposition protests aimed at forcing the government to hold early presidential elections not due until next year. The anti-government demonstrations continued throughout Easter despite the week being a national holiday that typically sees millions leave Caracas for the beach and other destinations. 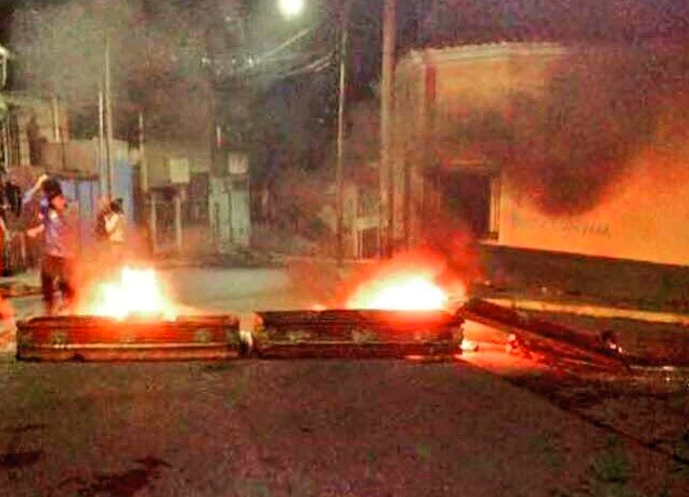 Thirty people were detained late Friday evening in connection with the firebombing and ransacking of a government medical clinic and a MERCAL food distribution office in the Miranda state municipality of Guaicaipuro. 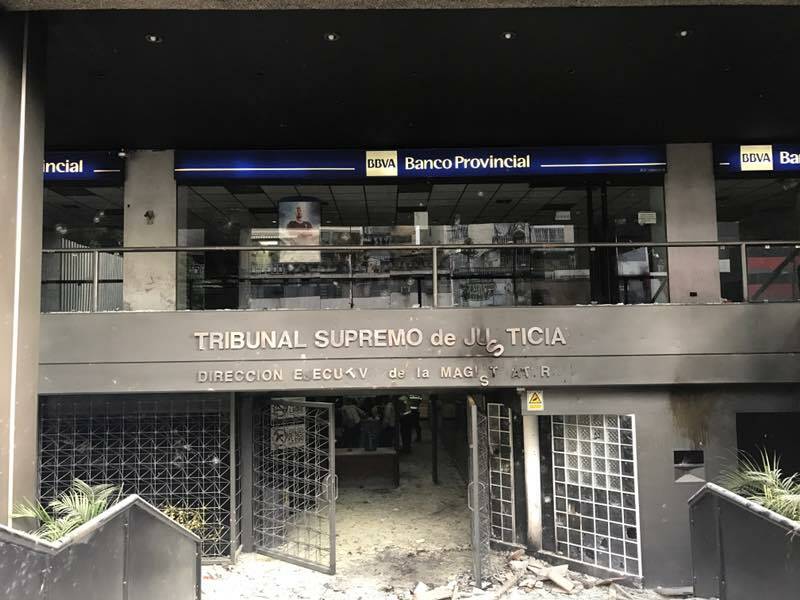 According to local Mayor Francisco Garcés, the attacks occurred "just meters" from the state police and firefighter stations, who nonetheless, "did not help put out the fire that resulted from the firebombs" that left the MERCAL in ruins. The Chavista mayor also reported that the protesters had desecrated the local graveyard by "removing graves, and burning them" in order to mount roadblocks. Photos of the incident were later shared on social media. Garcés accused Miranda Governor and leading opposition leader Henrique Capriles of failing to take action to control the violent protests in his state. "[This evidences] the irresponsibility of the governor, who... not only doesn't attend [to his state] but encourages violent actions... The inaction on the part of the security bodies under his administration reveals his complicity with these type of acts," the mayor told AVN. 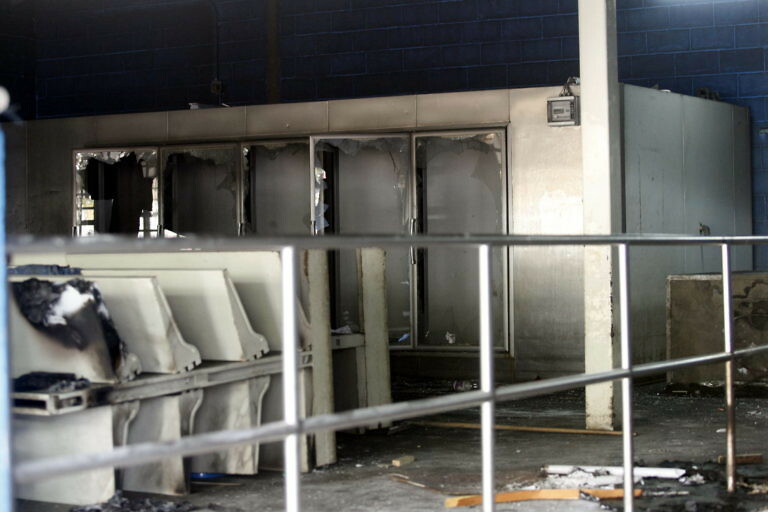 The incident is the latest in a series of violent attacks on government facilities and public infrastructure that according to Maduro surpasses 50 million bolivars (US $70,000) in damages. The past two weeks have seen similar attacks on a Supreme Court administrative office, a public school in Chacao, a radio facility belonging to state cellphone company MOVILNET in Valles de Tuy, as well as other aggressions against public transport units and government vehicles. Seven people have died so far as a result of the protests. Both the government and the opposition have called large mobilizations for this Wednesday to mark Venezuela's independence day.